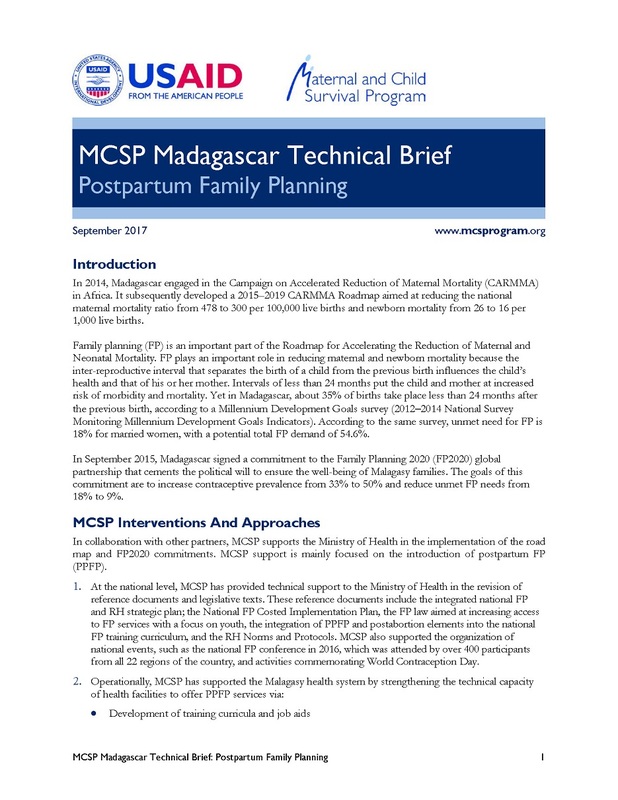 This technical brief describes MCSP’s postpartum family planning support in Madagascar. The project has supported the capacity-building of health facilities in 16 regions by upgrading health worker skills and staffing technical equipment, and discusses the positive results garnered from the work. The brief is also available in French.